Recently I saw some craft tubing at the craft store. I had never come across craft tubing before and thought it looked it interesting. I decided to pick some up (in red) and see what ideas I could come it for it. 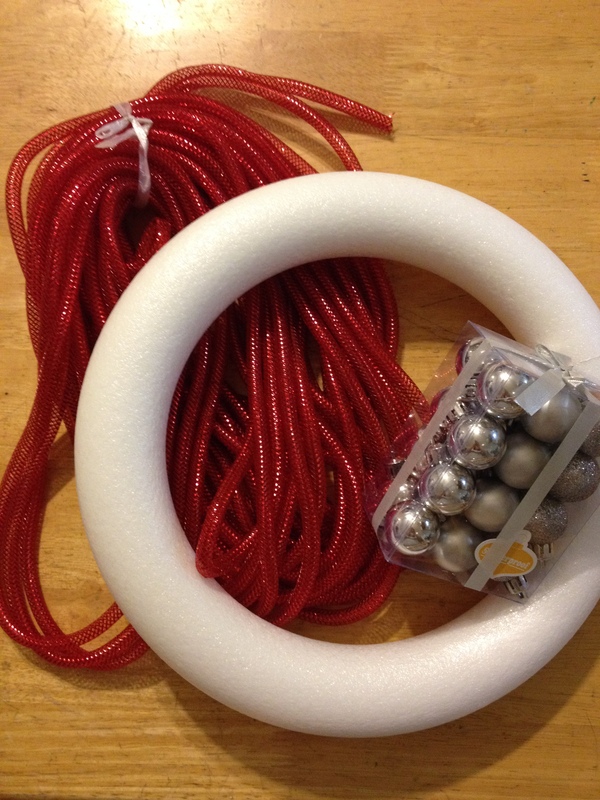 I grabbed a foam wreath form and some miniature Christmas ornaments and decided I would make a wreath. How exactly, I wasn’t sure yet. At first I thought I would wrap the tubing around the wreath, but I didn’t like how it looked. I thought I needed some white to go with it and on my next trip out picked up a package of white tubing. On this trip the cashier asked me what the tubing was supposed to be used for. I told her that I had no idea! Now I had something! I wrapped the wreath in red mesh that I had left from another project and glue the bows on one half and I was on my way to a pretty nice wreath! Wrap weath in red mesh. 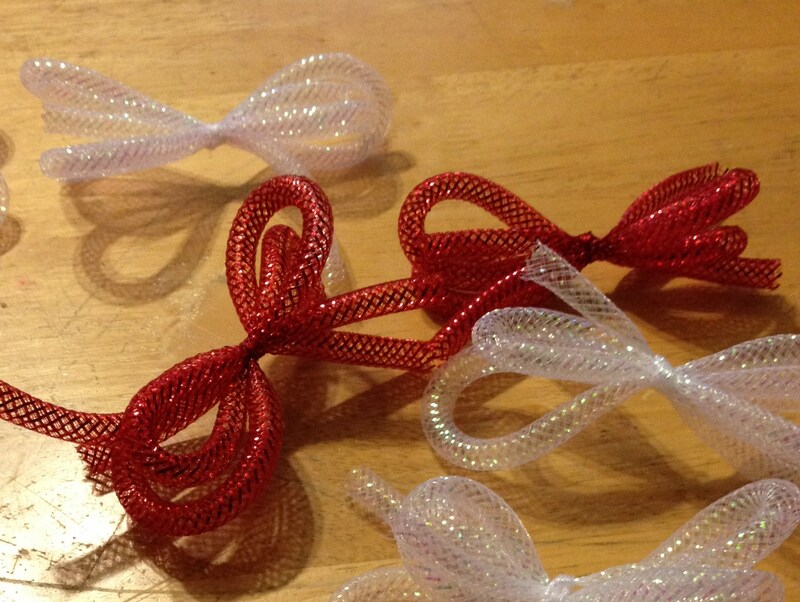 Make bows out of tubing and glue to one half of wreath (pin for extra security), glue one red & white bow to opposite side. 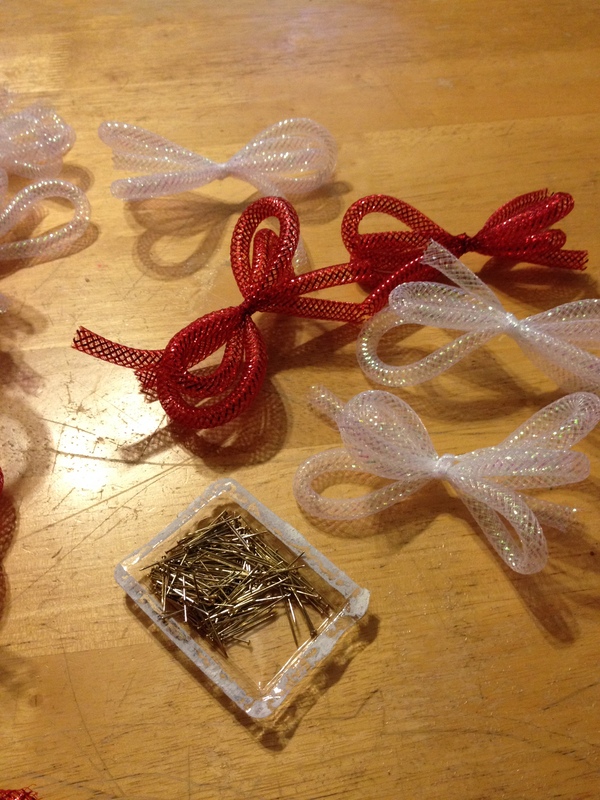 Hang mini ornaments from bow. 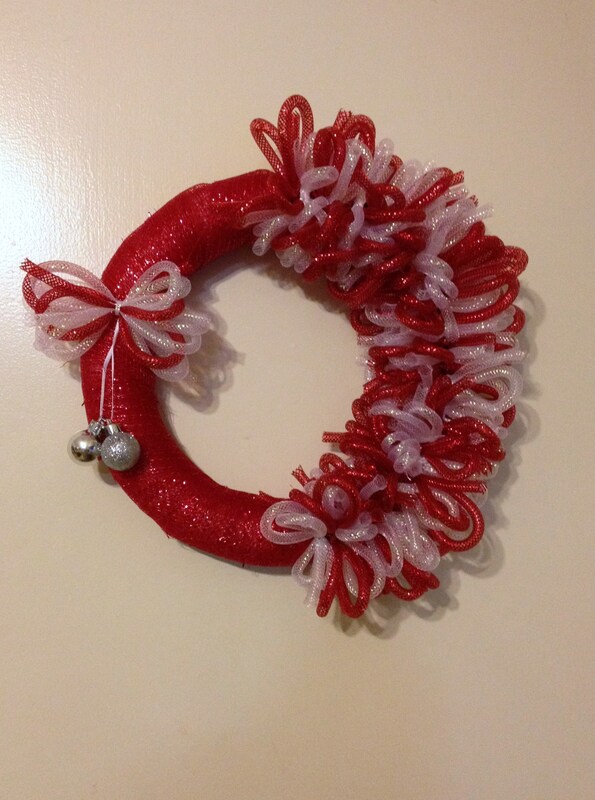 This entry was posted in General Crafts and tagged Christmas Wreath, craft tubing, crafting mesh, wreath.